Here are 25 South African rappers under 25 that you need to know. 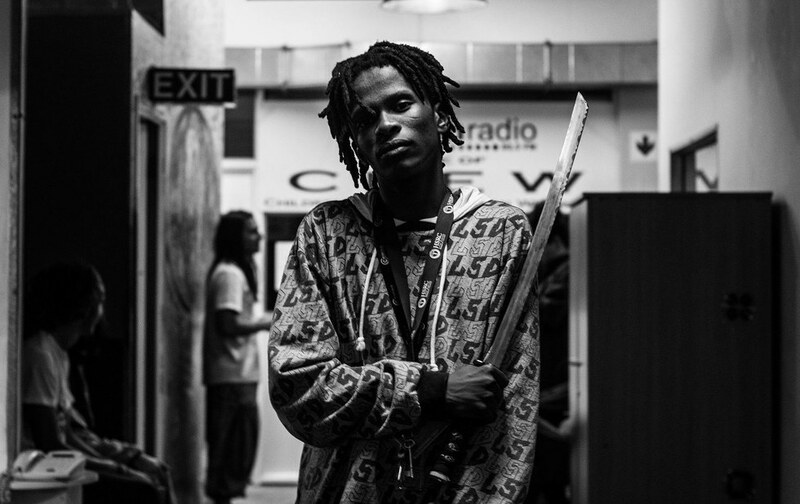 South Africa’s hip-hop scene is arguably the biggest on the continent. What makes it even more exciting is that most hip-hop artists in the country are young. In light of Youth Month, we pick 25 rappers who are under the age of 25, who we believe have the potential to be up there with Cassper Nyovest, AKA, Nasty C, A-Reece and them. Also be sure to check out our 2016 list, which featured the likes of Nasty C, Saudi, A-Reece, YoungstaCPT, Patty Monroe, a majority of whom have gone on to become icons in their own different ways. Read our 25 South African Rappers Under 25 You Need To Stop Sleeping On list, presented in no particular order, ahead. Sho Madjozi is running her own lane. And that has attracted the stars to her. OkMalumKoolKat featured her on two songs on his debut album Mlazi Milano. Khuli Chana recently featured her on his latest single “Tlekeke.” Veteran producer and rapper PH featured her on his latest album Break. She also appeared on Ghanaian rapper Wanlov’s latest album Orange Card: Fruitopian Raps. It’s her distinct rapping style, and her combination of rap and gqom that sets her apart. She’s teeming with personality, and has a quirky fashion sense. Save for PH and Mchangani, Sho Madjozi is the only visible rapper to rap in the Tsonga language, and she does it with a personality and flair that hasn’t been heard before. Her hit single “Dumi HiPhone,” a collaboration with gqom collective PS DJz , is as ratchet as they come, and has kids all over South Africa gyrating to it. Flex Rabanyan, from the small town of Eskhawini in KwaZulu Natal, is making sure that his province remains one of the most represented. Flex is the champion of the second season of Vuzu TV's The Hustle—the popular TV rap competition which just wrapped up a few days ago. He impressed the show’s judges—AKA, Stogie T, Khuli Chana and Scoop Makhathini—with all the necessary rapper dynamics. He’s a complete emcee: he can battle, freestyle and make great songs. Flex is built to be a star. He has confidence and charisma that places him in the same level as the best of them. On his latest single, “RabaYeezy,” he shows off his skills with lyrical flair, personality, solid delivery and impressive breath control. The second half of 2017 will be exciting. 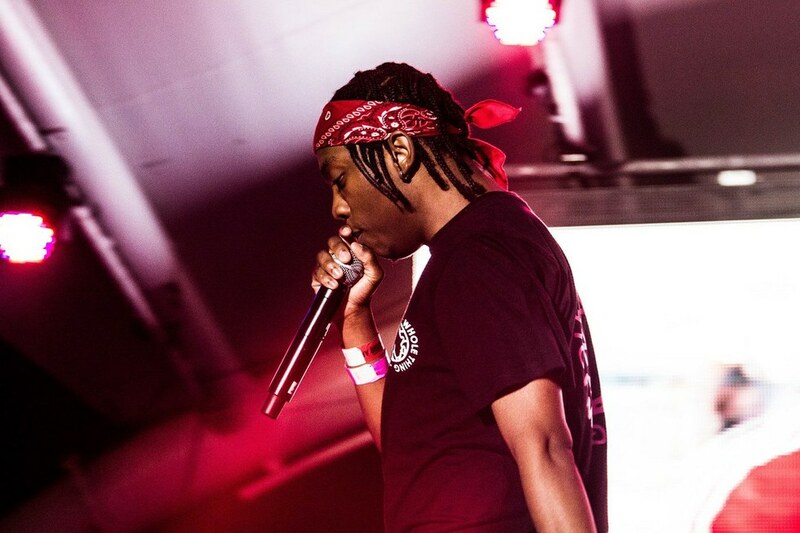 Frank Casino made an appearance on one of the biggest songs of 2016, “Mayo” by DJ Speedsta. He also caught the attention of Riky Rick, who jumped on the remix of his single “The Whole Thang.” Riky recently featured the rapper on a song called “Family” from his three-track EP Scooby Snacks. He also appears on PH’s latest album. Frank Casino has the ability to captivate his listener with his authoritative vocal projection and delivery, so much that it doesn’t matter what he’s rapping about. His EP Something From Me, released last year, was a good offering showcasing what the rapper from the East Rand in Joburg is about—sauce, charisma, catchy hooks, and a great ear for beats. Una Rams sings more than he raps. He’s also a great producer, and his self-produced single, the somber “Nobody” from his EP Pink Moon, has great potential, specially considering it’s a fitting soundtrack for the winter. The artist, who’s currently based in Pretoria, is an anomaly–his music combines hip-hop, trap, soul and dancehall vocals. Earlier this year, he got a huge co-sign from house music maestro Black Coffee. With South African hip-hop incorporating more and more singing, Una Rams should be here to stay. Nazlee Arbee’s mother breastfed them to hip-hop, they say. It’s hard to not believe them, as they have serious skills on the mic. An active member of the Rhodes Must Fall movement, they use their music as a form of mobilization to decolonize people of color in the world. Earlier this year, the multidimensional artist, who is also a photographer, released “The Wake Up Call,” a 7-minute long visual to pieces of music the artist created. Nazlee’s music is highly influenced by the golden era, with mostly soulful boom bap production, a backpack delivery and conscious rhymes. Their mixture of different art forms is a refreshing take on music. If for some reason, you aren’t moved by their raps, their images and writing will definitely catch your attention. SimmySimmyNya, originally from Kwazulu Natal, is based in Cape Town. He is part of the newly-formed supergroup ContraGang, alongside veterans such as Uno July, Stan1 and Camo, and newbies like J-One, M-Tunez-I, Psyc’ AK and Don Loyiso. SimmySimmyNya’s high-pitched voice and unorthodox delivery put him in a league of his own. He has performed at festivals such as Rocking The Daisies and Ipotsoyi. He appeared on Uno July’s Uno ‘n Only album last year. The rapper’s also featured on Ginger Trill’s lastest single “Forrest Guap,” in which he delivers a catch. Last year, he released his debut EP called Trapnya, which gives you a taste of who SimmySimmyNya is. Last year Yung Swiss sang the hook to DJ Speedsta’s “Mayo.” The Cameroonian-born artist may sing more than he raps, but he can still spit potent bars as proven on the remix to his single “David Genaro,” which featured hip-hop royalty on Reason, Ginger Trill and DJ Speedsta. 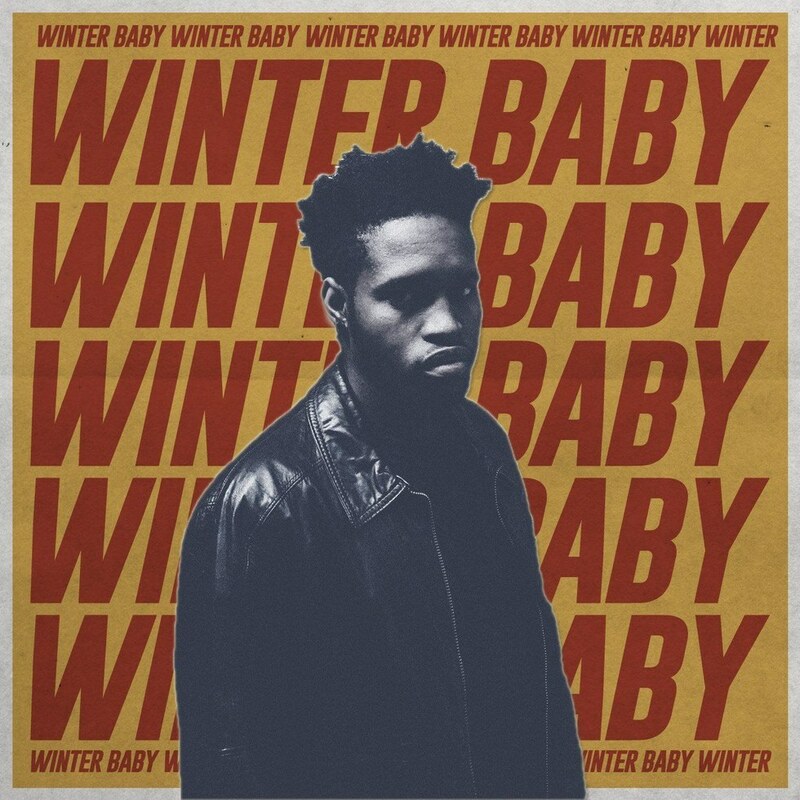 His 2016 EP Bottom Baby is amazing, proving Swiss is more than just a rapper, but a versatile artist who can make great memorable songs. His latest single “Jungle” again proves his staying power, and features Cashtime Life boss K.O. ad, who feels starved of that type of hip-hop in the 21st century. Kiii’s part of a group of like-minded hip-hop heads called Down South Natives, which consists of insufferable golden era hip-hop enthusiasts, who are inspired by Wu Tang Clan and Pro Era. Tired of mumble rap and trap? Kiii is your guy. You are welcome. crownedYung, from Durban, was previously signed to the popular indie label Select Play. Superbalist listed the artist as one of the rappers to watch in 2017. crownedYung’s 2016 EP Dirtbin was a great effort. It featured notable names in the South African hip-hop scene like Shane Eagle, Beast, TellaMan and Tribal. It saw him showcase his rapping and songwriting skills like a true millennial artist. While he is confident, he also isn’t shy about being vulnerable, and the result is a complete artist who you should be hearing more about in the near future. Moz Kidd is making sure that Nelspruit, the capital of the Mpumalanga province, is never left out of conversations about hip-hop. He is one of the most visible artists from the city. Last year, he collaborated with Riky Rick on the single “I Wanna Know.” Earlier this year, he was recruited by the controversial label Mabala Noise, joining a constellation of stars including Nasty C, Gigi Lamayne, Zakwe and more. Moz Kidd’s music is mostly trap. He sings and raps autobiographical and aspirational bars with a convincing conviction over bass lines and kicks that are as big as his confidence. For his full story, listen to his 2016 mixtape What Were You Doing At 19?. Manu WorldStar is oozing with talent. 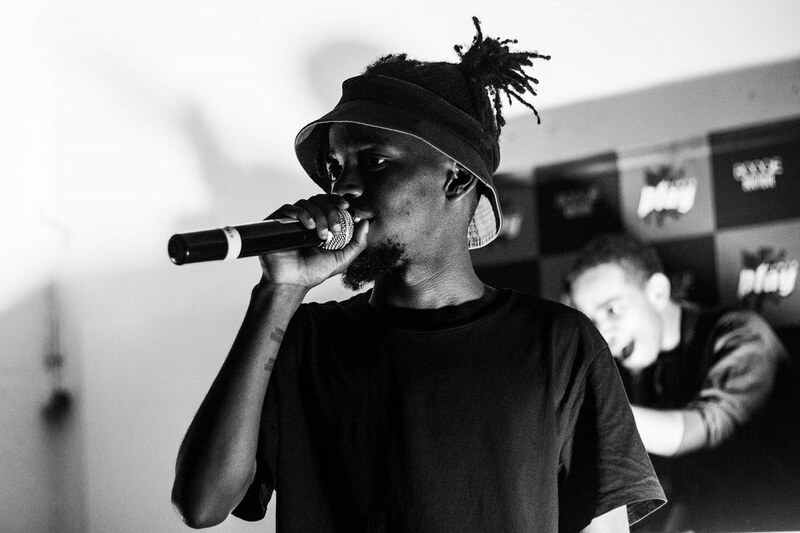 The Joburg-based rapper has the technicalities of rapping–flow, cadence, wordplay–on lock. He also happens to make greats songs. It’s still a wonder why “Yewen,” his single from last year didn’t become one of the biggest songs in the country–it’s catchy and sees the man dropping serious bars. Manu was a contestant in The Hustle. He has proven himself a potent emcee over and over again through singles and his mixtape From Now On, Call Me Manu. Vitu offers a needed balance in the South African hip-hop scene, which is dominated by trap music (nothing wrong with that). His latest EP, This Time Next Week, is monolithic—the rapper tells his story over jazz samples, that are spiced with synths and 808s, creating a beautiful and accessible soundscape that we need more of. He works with engineers and producers who understand him, as the music seems to be built around his voice–reverbs and echoes add to the haunting feel of the project. The rapper’s hight pitch vocal projection and unique enunciation are reminiscent of Q-Tip. Vitu is part of a trio called Arcade Music, which is equally as passionate. If you are going to sleep on a project this year, it shouldn’t be This Time Next Week. Nyota, a rapper and singer from Cape Town, released her debut mixtape, Age Of Enlightenment, at the beginning of May, and it’s impressive. At 17, Nyota, has the charisma and skill of artists 10 years her senior. On Age of Enlightenment, she raps as well she sings–picture the chilled vocals of Rihanna and the flows of Nicki Minaj, but with a unique twist, as Nyota totally owns her style–she sounds comfortable while delivering complex rhyme patterns. She covers a wide range of subject matter like love, spirituality, conspiracy–topics you wouldn’t expect a 17-year-old to rap so eloquently about. Age of Enlightenment is a decent effort that should get the attention of the industry. Du Boiz, who’s originally from New Castle, in the KwaZulu Natal province, came from nowhere and scooped up a deal with Mabala Noise. This was after the success of his single “Celebration,” which received airplay on YFM, Cliff Central, and other stations. Du Boiz then scored a feature with Tyga, and his recent collaboration with AKA–a song called “Hallelujah” deserves a spot on your playlist. The rapper may not make your list of best lyricists but his combination of singing and rapping over mostly trap production, though nothing innovative, won’t stop you from jamming to his hits. 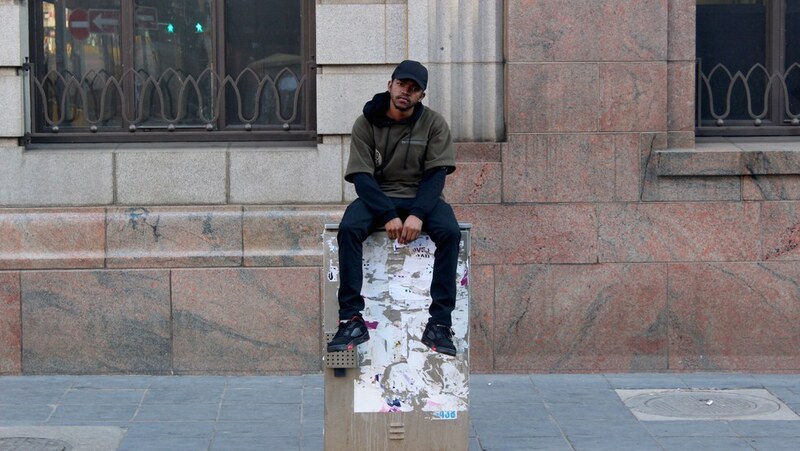 On his debut EP New Drug, Cape Town-based rapper LuRah asserts he’s one of the best doing it. The EP was received well by Cape Town hip-hop heads. And deservedly so. The rapper sounds comfortable over the trap production he favors. He’s not wordy–he pauses between lines when he has to. His flow is intact and he raps on-beat. LuRah, who also calls himself Kapatown Boy, started rapping in 2008 and has been at it ever since, performing in sessions to get his name out. New Drug is just a start–a teaser of a longer project which he’s already working on. 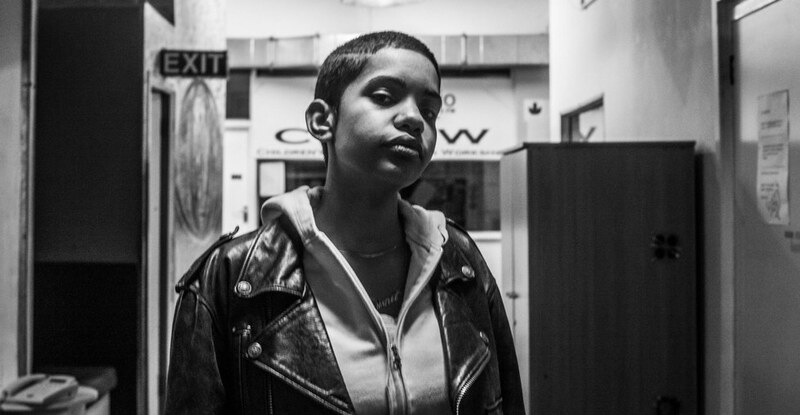 LuRah is no doubt one of the most exciting young rappers coming out of Cape Town. Given the right PR, he will be up there with your Nasty Cs and A-Reeces. TSA raps and croons over textured cloud trap production. He has released two EPs thus far, The Zxne and Finger Snacks, on which the artist tells stories of aspiration and relationships. TSA has made appearances on Hype (South Africa’s only hip-hop print publication) and the African Hip Hop Blog, among others. Listening to TSA’s music, you can pick up a Drake influence, from his production choice, his subject matter and delivery, but the artist is still authentically himself. It should only be a matter of time until fans catch on to TSA’s brilliance. Dee XCLSV had a great run on The Hustle show, even though he got eliminated. Dee is a talented rapper who has a lot of potential. His combination of singing and rapping has space in the hip-hop industry. And he’s able to rap in both English and vernacular, which is also an advantage. The emcee who is currently part of Punchline Music, alongside Manu WorldStar, Luna Florentino and Tony X, proves himself on the clique’s compilation Pissed Off The Neighbours, which was released earlier this year. 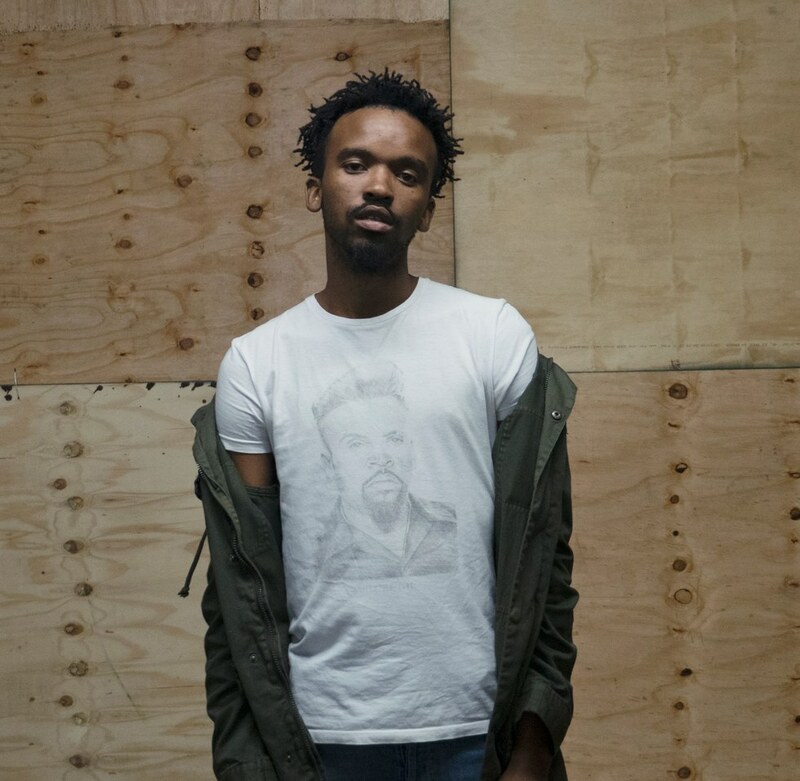 Joshua The I AM’s music is consistent–his videos are artsy, shot in slow motion, with a hazy feel. The artist, who both raps and sings, was the runner-up for the second season of The Hustle, losing to Flex Rabanyan. Joshua The I AM was one of the judges’ favorites, and AKA expressed that he had the potential to win the competition and even went as far as saying Joshua’s song for the final was better than Flex’s. Joshua The I AM has already amassed a legion of fans from the competition, and should do just fine. Lil Trix is one of the most prolific up-and-coming rappers in the country, with countless mixtapes (he has eight of them) and singles under his belt. His music has been played on stations such as YFM and 5FM, and he has appeared on TV channels like SABC 1 and e.tv. Earlier this year, he was on the cover of The Freshman Edition of Hype magazine–a spot he earned through public votes alongside five other up-and-coming emcees. On his latest EP titled ZULO, the emcee shows a lot of growth – he sounds more comfortable in his own skin than he ever has. 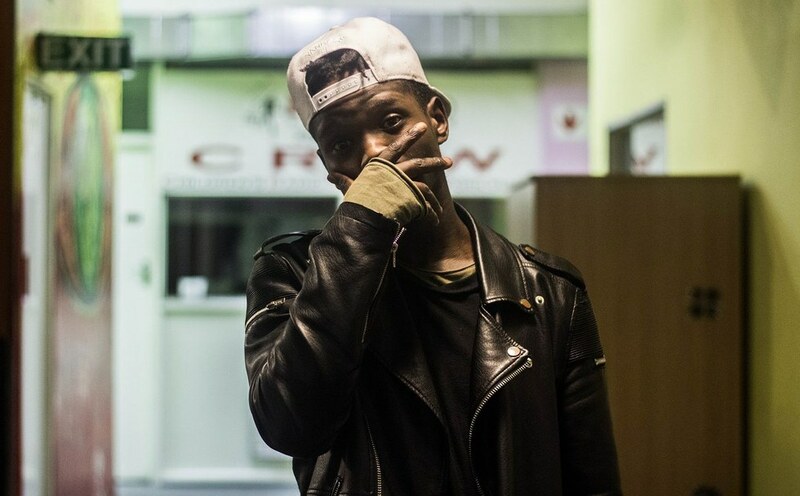 It’s only a matter of time until Lil Trix is a household name in South African hip-hop. Make sure to pay close attention–being the hard worker he is, you might blink and miss out on some great tunes and moves. Rapper and vocalist Megamafia is a ferocious rapper. Her 2016 mixtape Storiez To Tell saw her spitting bars over varied production that ranges from boom bap to trap. 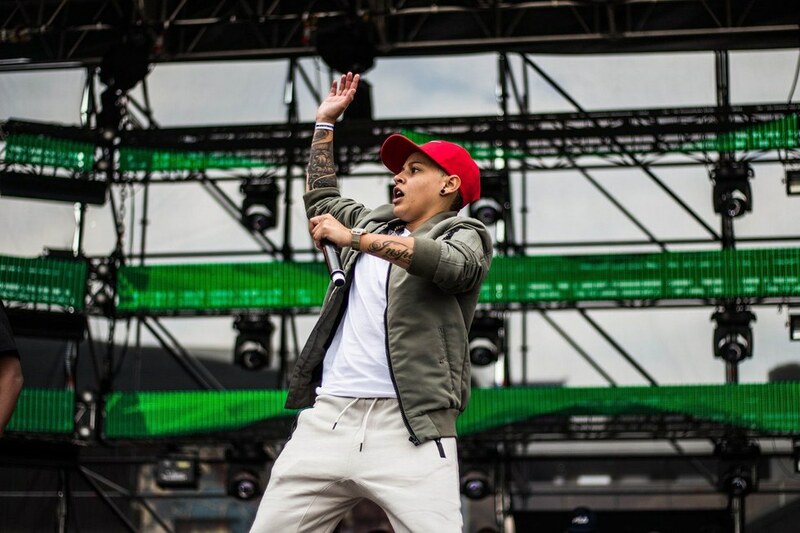 The rapper was handpicked by 5FM DJ Ms Cosmo to appear on the female remix to DJ Switch’s popular rappity rap hit “Now Or Never.” Last year, the Joburg-based rapper was nominated for the Best Female award at the South African Hip Hop Awards. This year, she was on the lineup of Back To The City, and she was on the cover of Hype’s The Freshman Edition issue earlier this year. She is currently working on an album due for next year. In the meatime, her mixtape will ensure you become a fan. 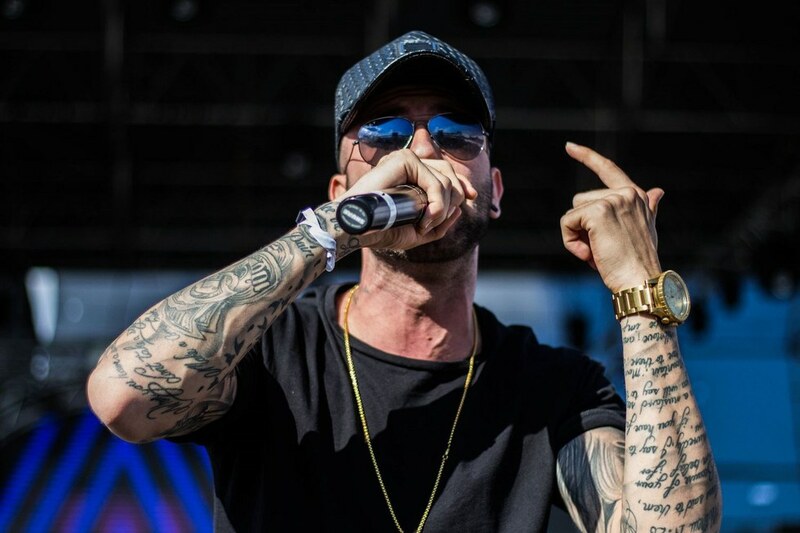 Chad Da Don broke into the industry in 2013, with his hit single “Hola,” which featured Cassper Nyovest. He would go on to sign with Nyovest’s label Family Tree, before leaving and dropping a diss track, “Chad Is Better,” to his ex-boss in 2015. He went on to start his own label and release his debut album The Book Of Chad, which featured producers and artists such as Buks, Brian Soko, Kyle Deutsch, Nasty C, among others. Chad Da Don’s music used to have motswako influence, thanks to his affiliation with Cassper Nyovest. Say what you like about Chad Da Don, but respect his skills on the mic. Cape Town’s Ijohn doesn’t subscribe to the norms of mainstream music. He’s an indigo child who believes in the power of music. His music condemns what’s wrong with the world. It leans more towards boom bap, a production style which plays a great backdrop for his subject matter. He is part of the Down South Natives collective from Cape Town, and just like most of his peers, can freestyle better than your fave. His 2016 EP, which sees him drop some knowledge and razor sharp flows, is a good place to start if you want to get familiar. Just King Blake is a rhyme machine–her rhymes are as bold as the trap production she chooses to rap over. Without any major features, the rapper’s EP Situation was picked up by reputable websites like Zkhiphani and the African Hip Hop Blog. What she has are rhymes and a convincing delivery. Just King Blake is confident and it shows in her music. She also chose to call herself King instead of Queen because, in her own words, she aims to be eccentric in the male dominated industry. Wah-Li is a gifted wordsmith from Cape Town. He has the ability to play with words–his style is reminiscent of the rapper ProVerb. Wah-Li is all for technical correctness–his bars are well-structured, and his rhymes are intricate and uniform. In 2014, he made the Top 20 of the Back To The City 10K Challenge, selected from thousands of entries from all over the country. Unlike most emcees of the same school of through as he is, Wah-Li is willing to explore different types of production, and the beauty is that he is always able to excel. If you are into the likes of ProVerb and Reason, then Wah-Li’s music will definitely work for you. Correction 7/4/17: A previous version of this article mistakenly referred to Nazlee Arbee as "she/her," whereas their pronouns are "they/them."